You are here: Home / Door Reviews / Fire Doors Necessary? Steel, timber, gypsum board and vermiculite boards. However the inspection of the door must be certified and approved by regulated authorities. 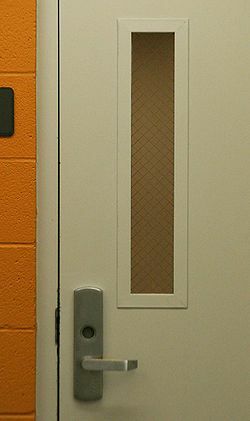 Most fire safety doors can be ordered through industrial suppliers. Installing a fire door should be done by a professional as well as locating the best situation zone of the building. This has to be very well thought out. Be sure that you have a quality fire alarm.